Communications Express provides two-way radio solutions for property management companies in Northern Virginia and Washington DC. We work with commercial and residential property management companies need to communicate with their staff throughout their facility or across multiple properties. With our secure MOTOTRBO digital radios corporate office can communicate efficiently building managers, security and janitorial staff with the push of a button. Big chain or small boutique, business traveler or tourist, consumers have abundant options on where to spend their dollars. Differentiating your property through exceptional service is one of the best ways to attract and retain them. Guests want to be delighted and feel comfortable in a safe and welcoming environment. They expect their requests to be quickly addressed. Hotels and resorts have numerous needs too. They must keep accurate track of rooms, supplies and facilities. They must also ensure security with instant, discreet communications and provide safety throughout the property. Yet, they may not know how to best expand their communication capabilities and decrease the cost of redundant systems to achieve it. When hotels and resorts rely on the right communications technology, they create a real-time flow of information between different departments and diverse personnel. From valet services to housekeeping, connected staff are well-equipped to be more responsive to guests. The right communications improve productivity by keeping assets and facilities up and running smoothly. Whether repairing a room air conditioner or replenishing food in a banquet hall, available staff members can act immediately when they are seamlessly connected. When hotels respond quickly to requests, they deliver the exceptional service that guests expect, and that keeps them coming back. Hotel executives agree – they say “driving more revenue” and “enhancing guest services” are their top two goals for investing in technology. 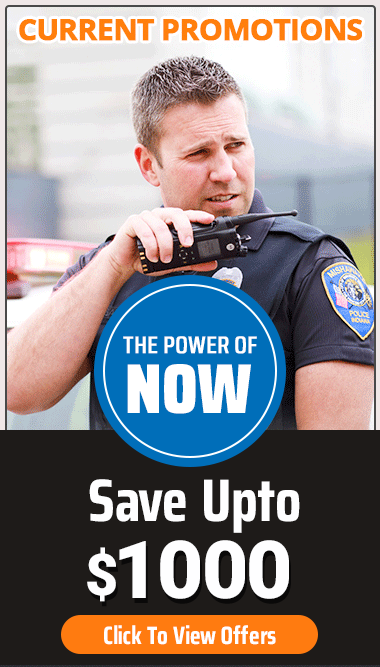 The backbone of integrated communications is the MOTOTRBO digital two-way radio platform. This complete, flexible and adaptable solution includes two-way digital radios, accessories, applications, systems and support services. MOTOTRBO integrates voice and data to help staff coordinate and collaborate more productively and efficiently, no matter the size of your operation. You get reliable, real-time communications at the touch of a button to respond instantly to guests and help improve safety and security. Whether you want to communicate between buildings, across a multi-acre complex or with a branch at a different location, MOTOTRBO connects everyone seamlessly. With a wide variety of solutions, designed for diverse roles and different departments, count on clear, discreet communication from the front lobby to the back nine. MOTOTRBO’s enhanced data applications make workflow more efficient and staff more productive, in turn keeping your guests happy. For example, with work order ticket management, front desk personnel can immediately enter work orders for maintenance when a guest calls to a report an issue so repairs can be completed quickly. To keep everyone secure you can monitor staff whereabouts on the grounds with GPS location tracking so they can respond immediately to a problem. In an emergency, you can pinpoint security personnel and send the nearest person to the scene. Other features such as text messaging and Intelligent Audio allow for clear and discreet communications. No matter where your staff members are it’s imperative for them to hear the message clearly and respond instantly. Our extensive portfolio of communication solutions elevates service and improves productivity for hospitality businesses, large and small. See how MOTOTRBO digital two-way radios, coupled with data applications and discreet accessories, empower staff and transform operations. The hotel porter depends on his SL300 portable to talk to shuttle bus drivers about incoming guests. Long battery life means he can communicate all day. The hotel limo driver uses his XPR 5550 mobile radio to call the hotel. He is on his way with the celebrity VIP guest. At the front desk, the hotel manager receives the call on a Bluetooth® earpiece paired to her slim and light SL 7550 radio. She ensures all her staff are ready, assigning them tasks using Work Order Tickets. The Security Controller does a sweep of the CCTV camera monitors, and spots a photographer in the hotel grounds. His GPS console shows who is closest to the location, and he dispatches them to investigate – with a discreet text message. The hotel manager shows the VIP guest to his room. He needs his suit pressed, so the manager creates a Work Order Ticket directly on her SL 7550, instructing housekeeping to come and collect it. The celebrity’s party requires many external contractors, so the manager has equipped them all with the WAVE Mobile Communicator application on their smartphones. They can connect directly with hotel staff on their MOTOTRBO radios. Because all staff were closely coordinated, the event was a great success. The hotel manager can now use the Work Order Ticketing database to review each team member’s performance, and reward them individually. From the street to the suite, in small venues and large convention centers, Motorola Solutions is helping staff coordinate and collaborate more efficiently and productively to create a seamless experience for every guest. Properties worldwide are transforming their workplace with Motorola’s next-generation digital communication solutions and expertly-integrated systems, applications, accessories and services. Motorola Solutions’ hospitality solutions connect different people, departments and facilities together to help operations run smoothly and assure exceptional guest service. Contact us for more information on how we can help upgrade service and downsize costs for your property management managers.